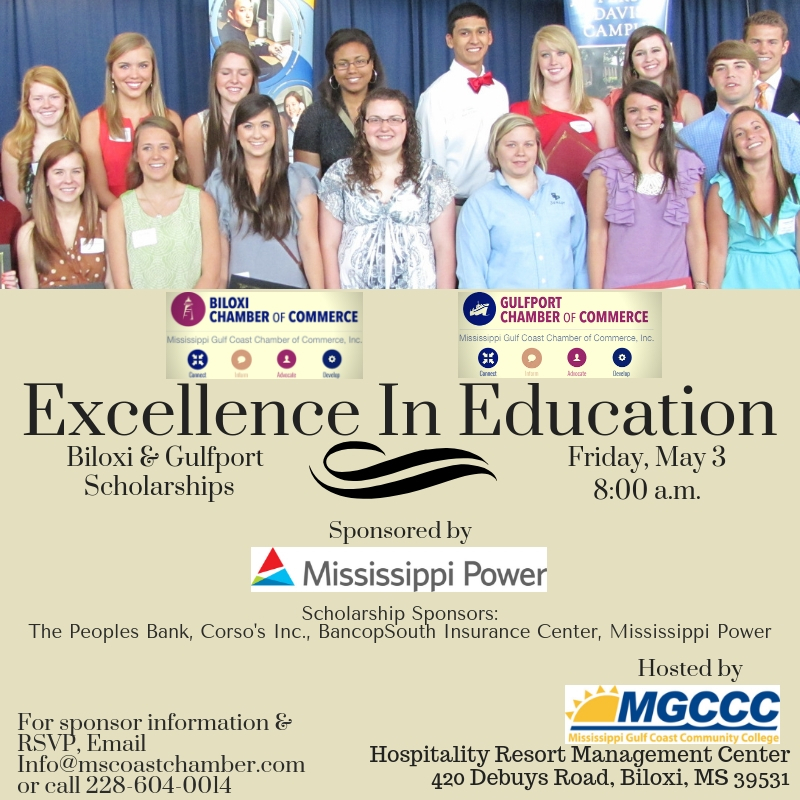 Join us as Biloxi and Gulfport Chambers of Commerce honor excellece in graduating seniors by awarding scholarships. Scholarships are sponsored by community partners and funded through fundraising efforts of the Biloxi and Gulfport Chambers of Commerce. This is a complimentary event and breakfast is served.